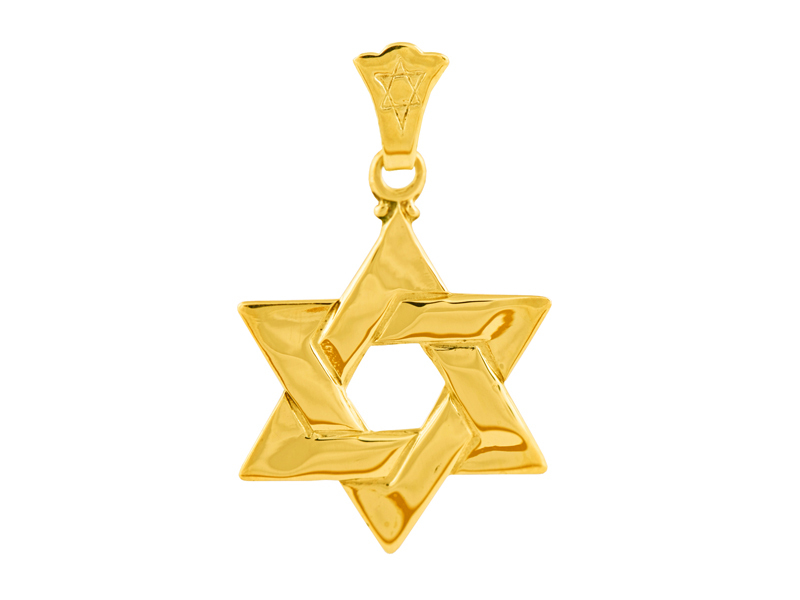 This beautiful Star of David pendant is a classic! Made of 14k gold it features an interwoven design. Pendant hangs from a bale that is decorated with an etched small star of David. Pendant is available in both yellow and white gold. Traditional and classic this pendant makes the perfect gift for all ages and all occasions!